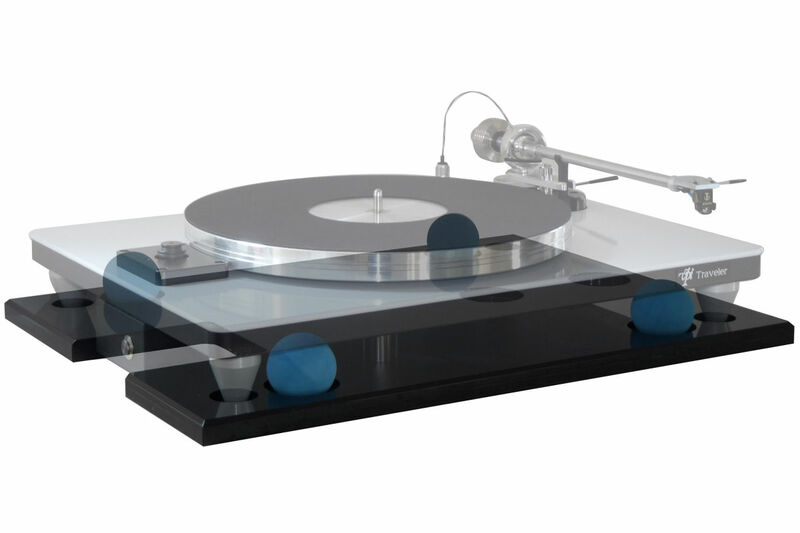 A Cloud 9 vibration control platform designed for the VPI Traveler. 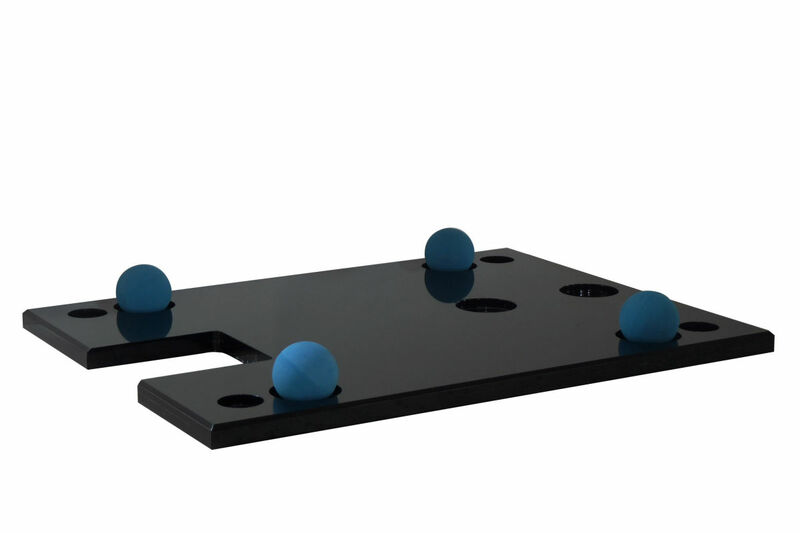 The Cloud 9T™’s base follows the contour of the Traveler plinth. The dimples are strategically placed to make it easy to balance the turntable. 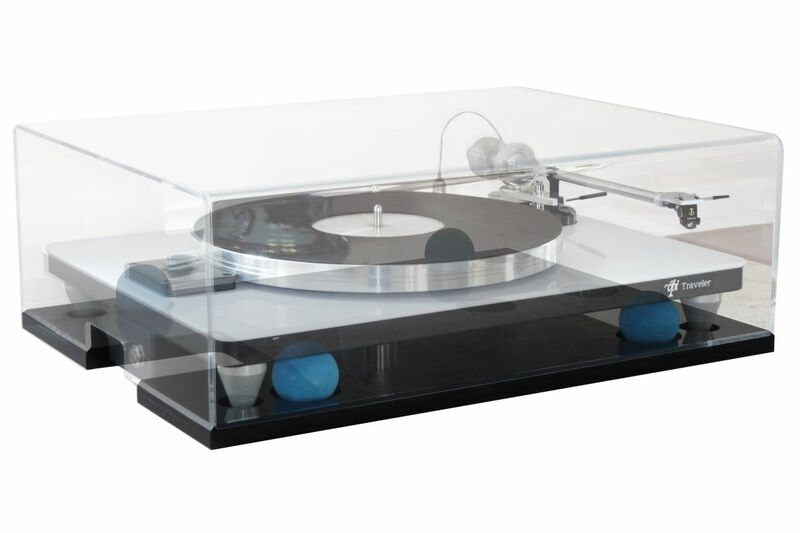 The Cloud 9T™ platform will fit flush with a matching Gingko Audio dust cover. In all three models of the Cloud 9 series, the balls support the bottom side of the plinth for a lower profile. The silver cone feet will go through the four corner holes and be lifted off the shelf, further isolating the plinth from shelf vibration. For high performance and safety, the base has the same double thickness as the Cloud 11™, which prevents the balls from rolling off the dimples. With the VPI Traveler and Cloud 9T you can get even closer to the music on that vinyl collection you’ve spent years cultivating. Not only that, you’ll have more money left for new music! 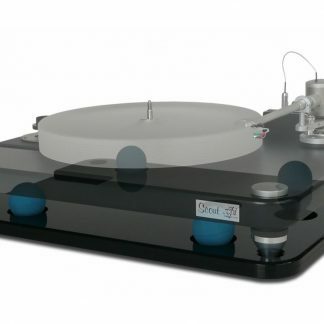 I’m planning on moving my VPI Traveler and Cloud 9T into the big reference system next. That’s how much I love it. I’m also over the moon regarding Gingko’s table-top dust-cover! It’s beveled at the bottom enabling its lock onto the platform.